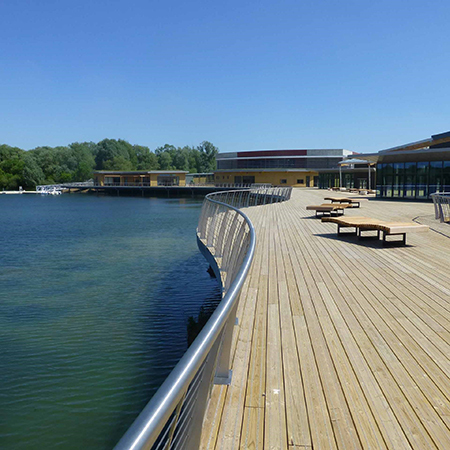 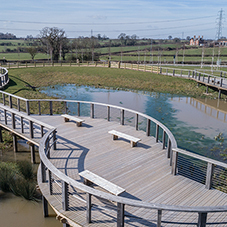 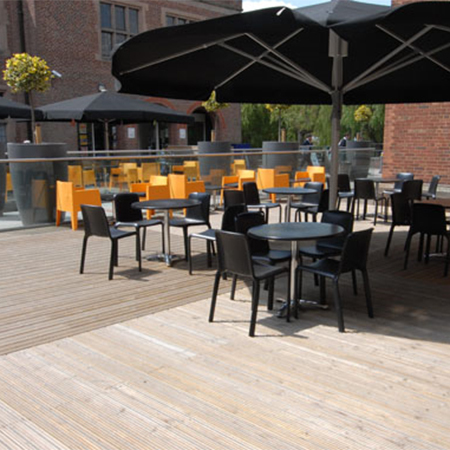 Anti slip timber decking boards continue to be an increasingly popular choice for commercial applications particularly across the education, leisure and lifestyle, health, retail and public sectors. 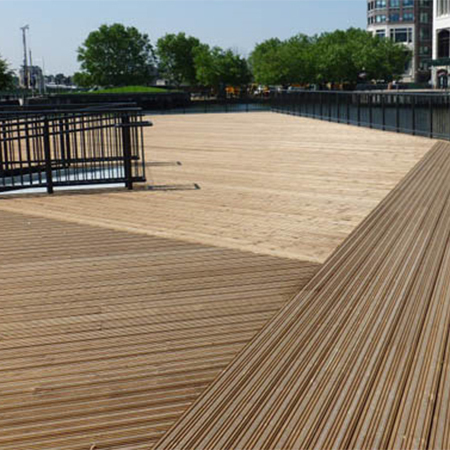 Their use should be considered with any application where there is a timber deck with public access. 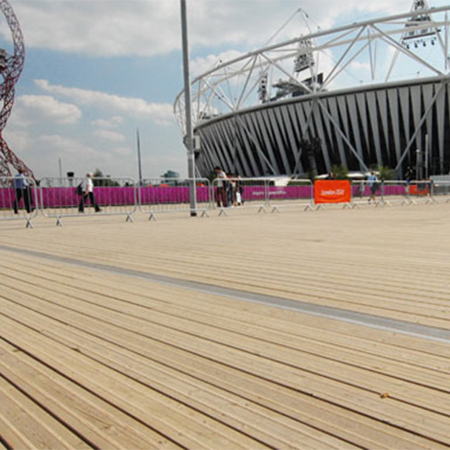 For high risk areas use Marley's Anti slip Plus range and for urban areas where inclusivity is important then use their Marley CitiDeck range. 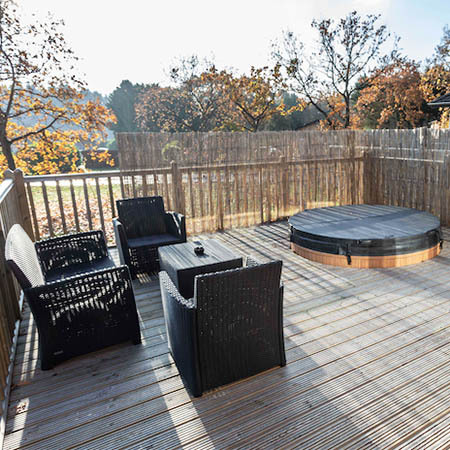 Marley Anti slip timber decking boards are manufactured from selected joinery grade European Redwood and supplied in a variety of lengths. 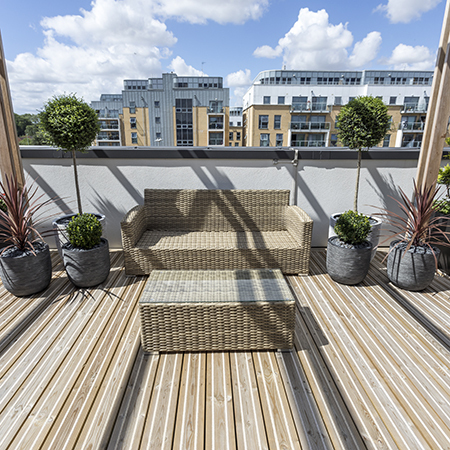 Find out more at marleyeternitdecking.co.uk All Marley premium boards are further inspected to ensure there are no knot holes or excessive dead knots. 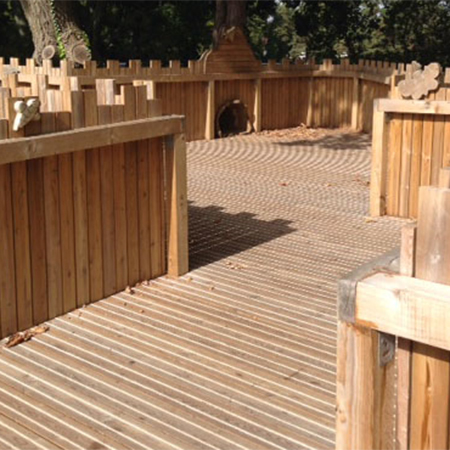 Marley have span tables for both BS 5268 designs and a full set of tables based on Eurocode calculations and load scenarios. 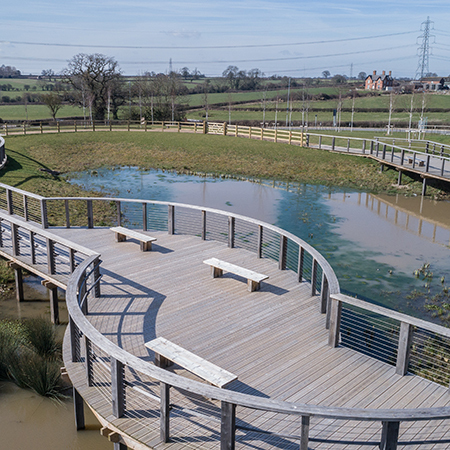 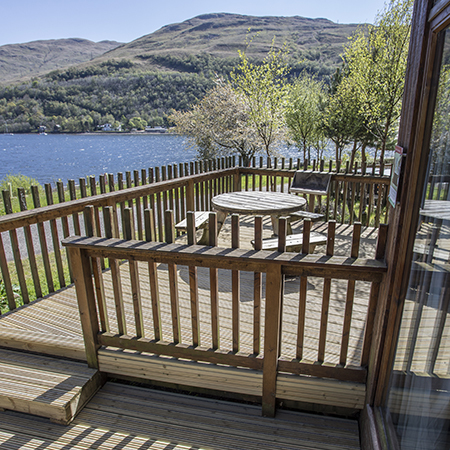 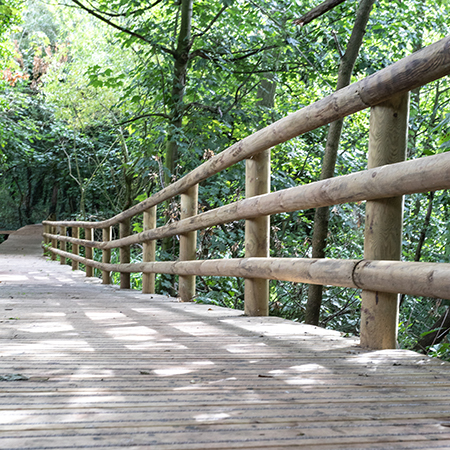 Marley deck boards are preservative treated with MicroPro® a new preservative system incorporating micronized copper co-biocides; an environmentally preferred product which delivers a natural timber look.